P-ISM ("Pen-style Personal Networking Gadget Package"), which is nothing but the new discovery, which is under developing, stage by NEC Corporation. 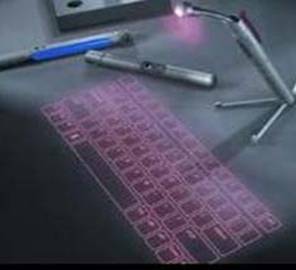 5 Pen PC Technology is a gadget package including five functions: a pen-style cellular phone with a handwriting data input function, virtual keyboard, a very small projector, camera scanner, and personal ID key with cashless pass function. 5 Pen PC Technology are connected with one another through short-range wireless technology. The whole set is also connected to the Internet through the cellular phone function. This personal gadget in a minimalist pen style enables the ultimate ubiquitous computing. In fact, no-one expects much activity on 802.11n installations until the middle of 2008. "Rolling out 802.11n would mean a big upgrade for customers who already have full Wi-Fi coverage, and would be a complex add-on to existing wired networks, for those who haven't. Bluetooth is widely used because we can able to transfer data or make connections without wires. 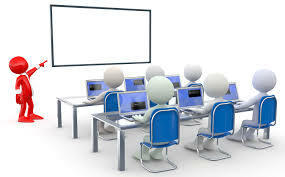 5 Pen PC Technology is very effective because we can able to connect whenever we need without having wires. 5 Pen PC Technology are used at the frequency band of 2.4 GHz ISM (although they use different access mechanisms). Blue tooth mechanism is used for exchanging signal status information between two devices. 5 Pen PC Technology techniques have been developed that do not require communication between the two devices (such as Blue tooth's Adaptive Frequency Hopping), the most efficient and comprehensive solution for the most serious problems can be accomplished by silicon vendors. They can implement information exchange capabilities within the designs of the Blue tooth. The circuit diagram for the 802.11B/G is given below. It is nothing but also type of Blue tooth. Using this connectivity we can also connect it with the internet and can access it anywhere in the world. 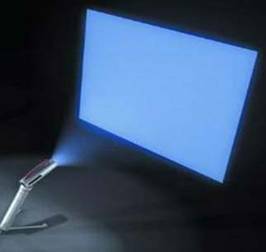 The role of monitor is taken by LED Projector which projects on the screen. The size of the projector is of A4 size. It has the approximate resolution capacity of 1024 X 768. Thus it is gives more clarity and good picture. 7.Auto-repeat: Allows the VKB to automatically repeat a key based on prescribed parameters. The first and most important advantage of the 5 pen pc are that they are portable. Due to its size they can be carried anywhere . These PC's are in the shape of pens and that's why they can be carried in small bags or even in our pockets. A portable computer is a computer that is designed to be moved from one place to another and includes a display and keyboard. They can also be called a 'Portable Workstation' or 'Portable PC'.5Pen PC are the most easily portable pc ever made. Another major merit is that its works on battery and so it can be used whenever we want. Ubiquitous computing (ubicomp) is a post-desktop model of human-computer interaction in which information processing has been thoroughly integrated into everyday objects and activities. In the course of ordinary activities, someone "using" ubiquitous computing engages many computational devices and systems simultaneously, and may not necessarily even be aware that they are doing so. This model is usually considered an advancement from the desktop padgim . More formally Ubiquitous computing is defined as "machines that fit the human environment instead of forcing humans to enter theirs". The another major important merit of a 5 pen pc is that its has a Wi-Fi technology built in it through which the user can connect to the internet very easily. Wifi, is a mechanism that allows electronic devices to exchange data wirelessly over a computer network. A device enabled with Wi-Fi, such as a personal computer, video game console, smart phone, tablet, or digital audio player, can connect to a network resource such as the Internet via a wireless network access point. An access point (or hotspot) has a range of about 20 meters (65 ft) indoors and a greater range outdoors. Hotspot coverage can comprise an area as small as a single room with walls that block radio signals or a large area, as much as many square miles, covered by multiple overlapping access points. To connect to a Wi-Fi LAN, a computer has to be equipped with a wireless network interface controller. The communication devices are becoming smaller and compact. This is only an example for the start of this new technology. We can expect more such developments in the future. By the human needs the communication devices are becoming smaller and compactable. PC are becoming smaller and smaller. We can see that the 5 pen pc technology is one of the advanced Portable PC that is easy to carry even in our pockets and work with it any where we want. 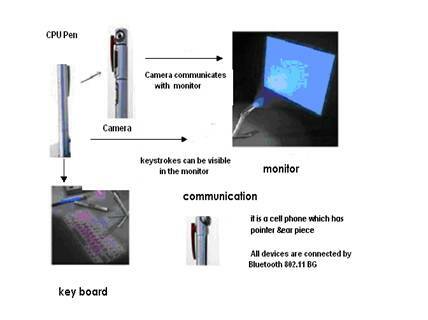 This 'pen sort of instrument' produces both the monitor as well as the keyboard on any flat surfaces from where you can carry out functions you would normally do on your desktop computer. This has also Wi-Fi technology in which user can communicate through the internet, It’s another major advancement is the camera which can be used even for video conferencing. This is just a new start. We can expect much more advanced comfortable pc system in future.